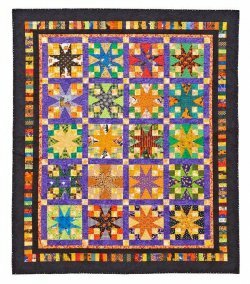 This quilt is so beautiful!! 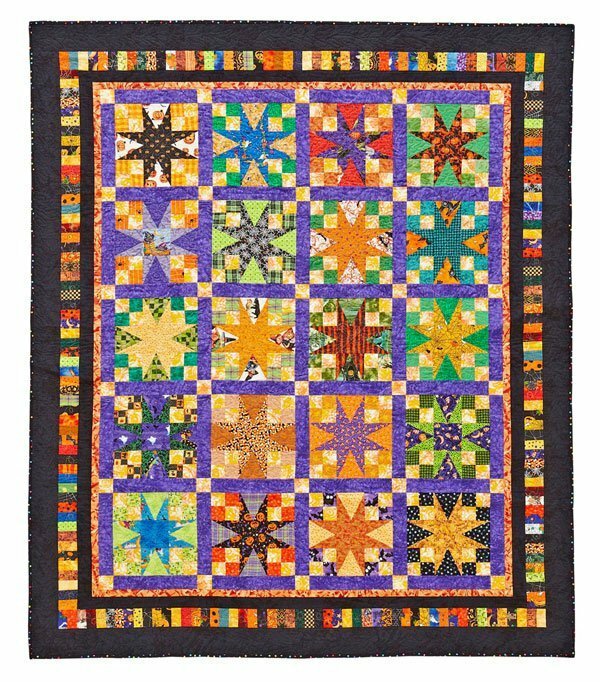 The explosions of starry color, the vibrant variety in the border swatches, what an amazing design! 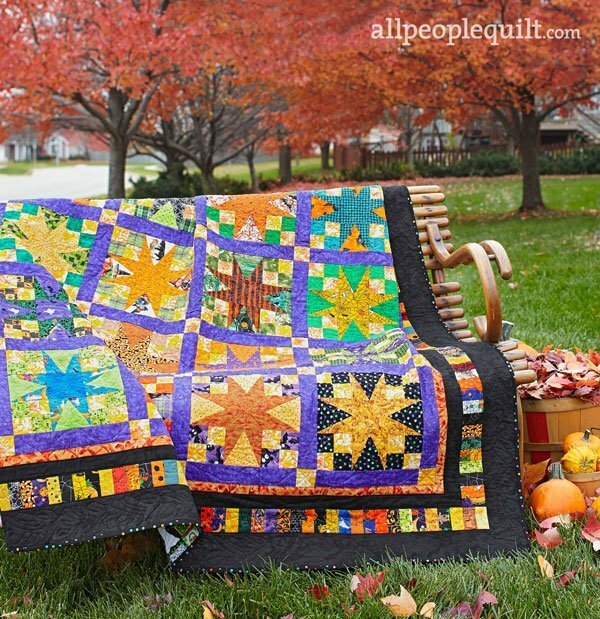 This project comes to us from the wonderful team at AllPeopleQuilt.com, one of the most rich resources online for great quilting projects. 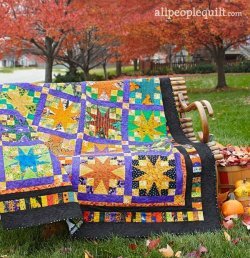 The design is by Lila Taylor Harris, and she has done a fabulous job detailing the steps you'll need to create of of these of your own. Enjoy!